New Products that Make Eating with Dietary Restrictions a Breeze! Don’t Fall Off the Bus at Lunch: Convenient Lunch Concepts to Keep You Healthy! Sheet Pan Meals: To Save Time From Busy Schedules! 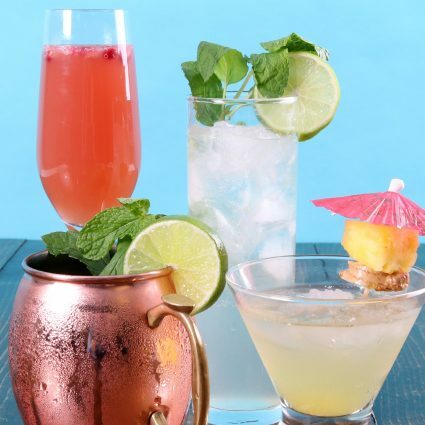 Mojitos, mules, mimosas—if you love kombucha, these mocktails are for you! This New Year's, sip on a refreshing, non-alcoholic cocktail-style drink while supporting your gut health. For appetizers, try creamy spinach-stuffed mushrooms and sweet & crunchy pecans!